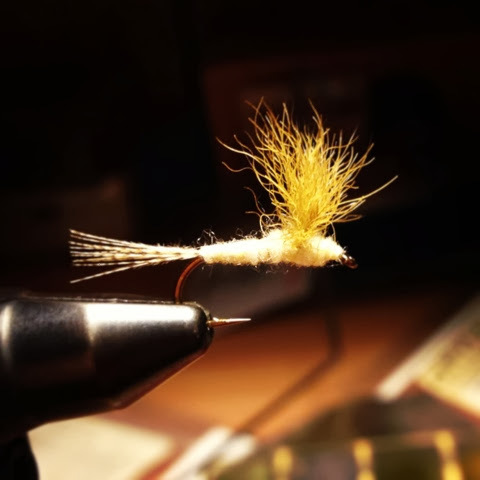 Last evening, I sat down to tie up some #12 Light Cahill Comparaduns. These work really well on the river in May at the wire. The fish that claim habitat to that flat section of water are usually picky, but they will always take a low riding comparadun. 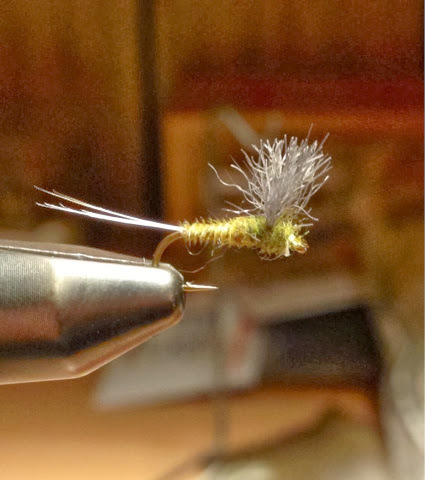 After tying up some Light Cahills, I moved on to BWO Comparaduns. Every day on the river there is an olive hatch. Early season you will see them as big as a #14 and in a brighter olive color. As the season continues, they get as small as a #26 and become more of the traditional olive/brown coloration that I am used to seeing on the river. Tonight, I started out with a #16 Biot Snowshoe Comparadun. 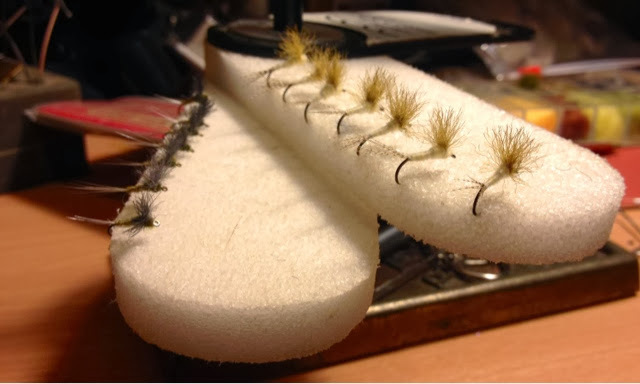 I have been on a kick as of late with the snowshoe rabbit hair because of its properties to shed water and float in just about any water condition. I need to order up a Lt. Dun for sulphur patterns as well. I think they will be killer on the stream. Zoie has been a bit bummed out with these freezing temperatures that have come from the "Polar Vortex" air mass that decided to visit us once again this winter. 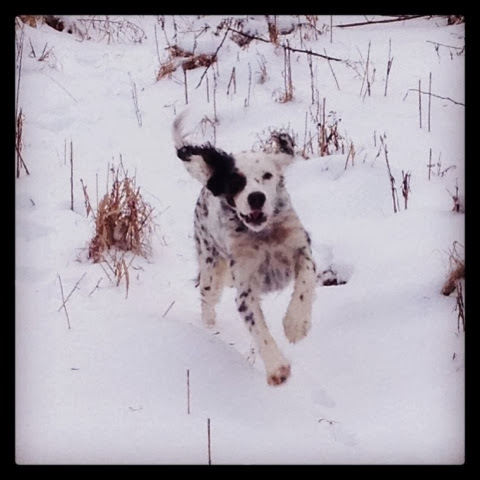 While going out to clean the walks, I turned her loose for a bit so that she may burn off some of that cabin fever. It didn't take long to find a flock of turkeys to give chase. I went to my car to grab my whistle as I was watching her on the hillside tormenting those birds. After blowing the whistle, she promptly came back. That is when I snapped this photo. I think she enjoyed her quick run in the woods that afternoon. All in all, not a bad way to spend time on a snow day from work. Great pic of the pup! Thanks. I was surprised I actually got a decent shot of her while running with my phone.